The 240-million-year-old fossil, Megachirella wachtleri, is the most ancient ancestor of all modern lizards and snakes, known as squamates, the new study, published in the journal Nature, shows. The fossil, along with data from both living and extinct reptiles -- which involved anatomical data drawn from CT scans and DNA -- suggests the origin of squamates is even older, taking place in the late Permian period, more than 250 million years ago. 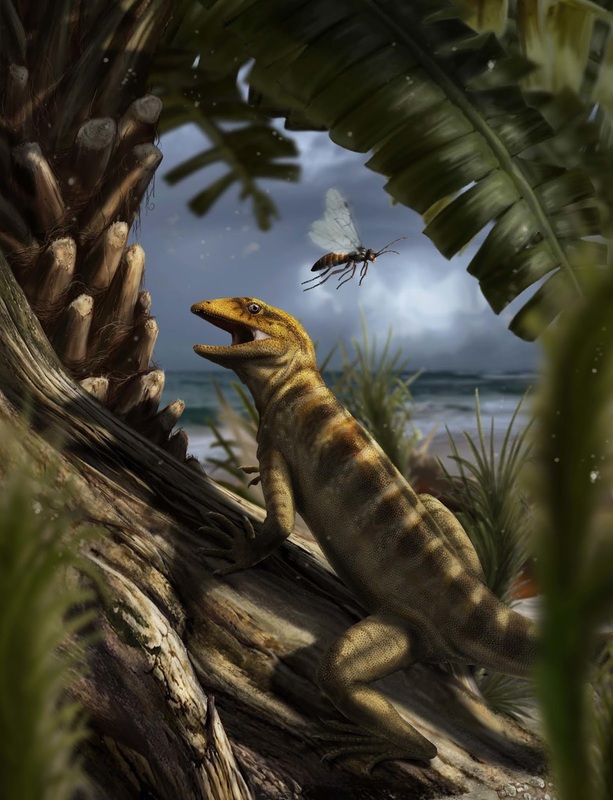 Tiago Simões, lead author and PhD student from the University of Alberta in Canada, said: "The specimen is 75 million years older than what we thought were the oldest fossil lizards in the entire world and provides valuable information for understanding the evolution of both living and extinct squamates." Currently, there are 10,000 species of lizards and snakes around the world -- twice as many different species as mammals. Despite this modern diversity, scientists did not know much about the early stages of their evolution. Tiago Simões added: "It is extraordinary when you realize you are answering long-standing questions about the origin of one of the largest groups of vertebrates on Earth." Co-author, Dr Michael Caldwell, also from the University of Alberta, added: "Fossils are our only accurate window into the ancient past. Our new understanding of Megachirella is but a point in ancient time, but it tells us things about the evolution of lizards that we simply cannot learn from any of the 9000 or so species of lizards and snakes alive today." Co-author Dr Randall Nydam of the Midwestern University in Arizona, said: "At first I did not think Megachirella was a true lizard, but the empirical evidence uncovered in this study is substantial and can lead to no other conclusion." Co-author Dr Massimo Bernardi from MUSE -- Science Museum, Italy and University of Bristol's School of Earth Sciences, added: "This is the story of the re-discovery of a specimen and highlights the importance of preserving naturalistic specimens in well maintained, publicly accessible collections. "New observations, that could arise from the use of new techniques -- as for the mCT data we have obtained here, could provide a completely new understanding even of long-known specimens."